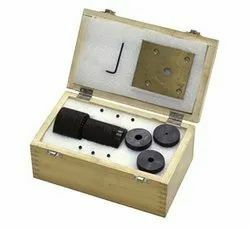 We are a reputed manufacturer and supplier of an extensive range of Accessories for Spectrometer. These products are manufactured using optimum-grade material, which is sourced from reliable vendors of market. Our range is acknowledged in market for its fine finish, high temperature resistance, dimensional accuracy, elasticity and durability. 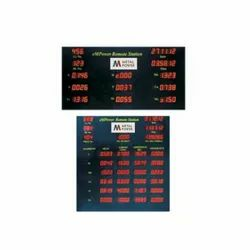 Available in various specifications; these products are extensively applicable in Mining, Metallurgy & Heavy Industries, Turnkey Project Companies, Defense Establishments, Railways, Heavy Equipment Companies And Cement, Sugar & Paper Plants. In several markets, the quality of power supply remains poor. Our patented Integrated Safety Panels protect your Spectrometer Systems (and any other connected equipment) from a variety of issues including Short Circuits, Over Voltage, High Surge, Earth Leakage etc. They offer Fault Indications and maintain logs as well, ensuring the best possible protection for expensive equipment. We offer a wide range of very high-quality Cast Iron Mould at a very affordable market price. These products are manufactured using very fine quality raw material that is sourced from very reliable vendors. These Moulds are available in a number of standard sizes for determining the compression and flexural strength of concrete. 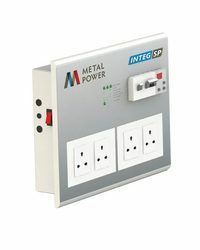 We offer a wide range of very quality Wire Adopter to our trusted customers. These products are known for their dimensional accuracy and compact design. These are available in different sizes and can also be customised according to the requirement of the clients. Highly recommended among our clients for its long lasting and Eco-friendly properties. In large foundries and steel plants,the melting platform and the Laboratory are quite often removed from each other by as much as a few hundred meters. The wi-fi enabled RTDS systems enable results to be transmitted seamlessly from the Lab to the melting platform on a real-time basis. Provision to Display Date, Time, Crucible number, Heat number etc.